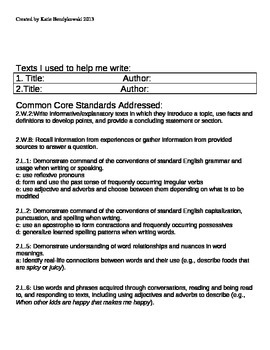 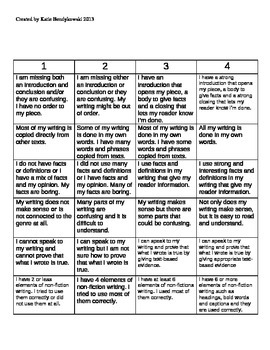 This is an awesome 2nd Grade common core aligned All-About writing rubric. 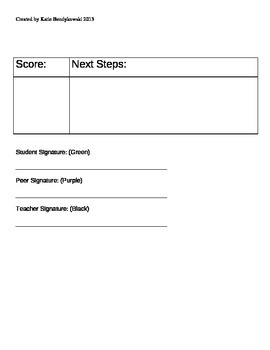 It allows for self, peer, and teacher assessment. 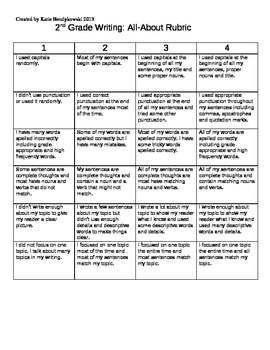 We have been using this and the students are doing fantastic on their writing pieces because they know exactly what is expected of them and how to make their writing better.